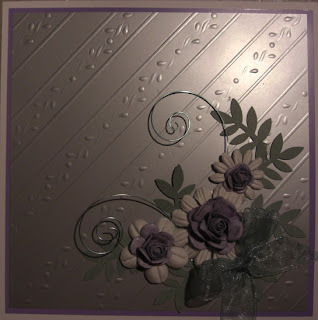 Good evening, Here is tonight's selection from the show from the embossables section, using our embossables that are thicker than normal stencils and our Fantastic New Embossing Mat you really can see the impression, everyone should have one...!!! 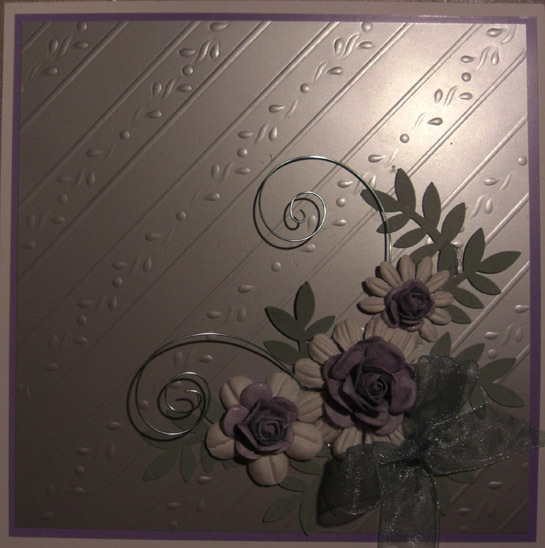 you can honestly see the difference...plus all the different types of machine recipes are on the instructions that come with the Mat...so easy !!! 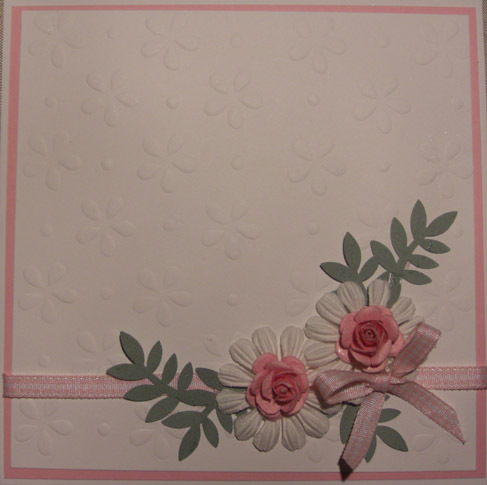 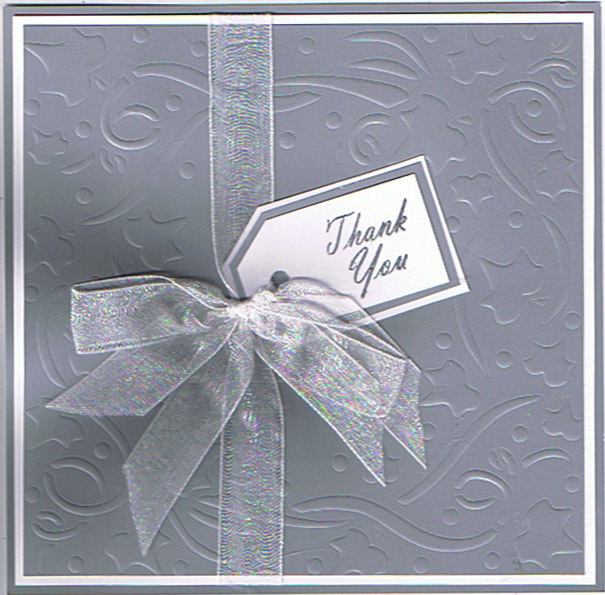 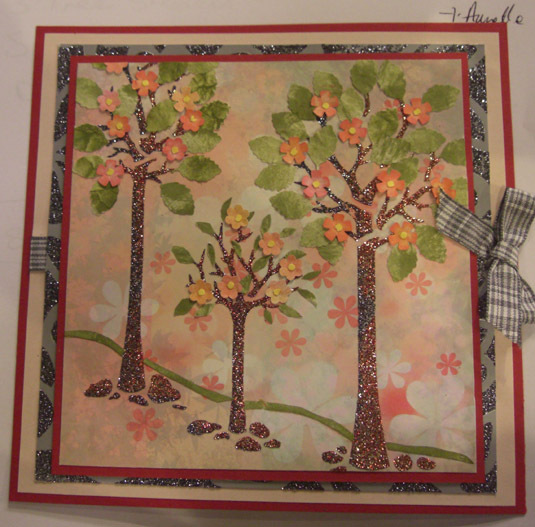 Hanging Basket Decoupage with Daisy Dots on Silver Glossy card. 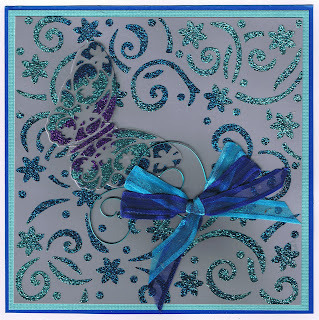 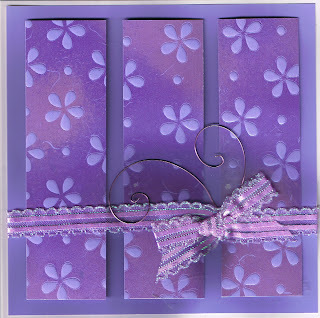 Here are a few samples from the glossy Card section. 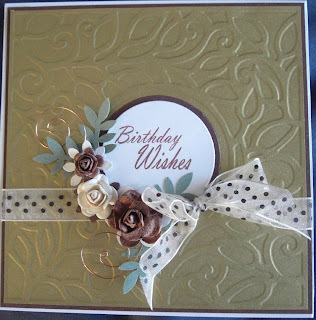 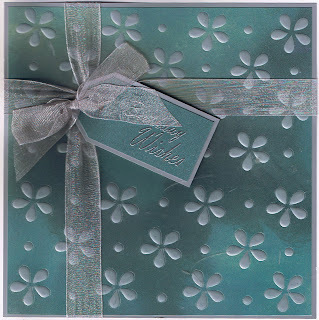 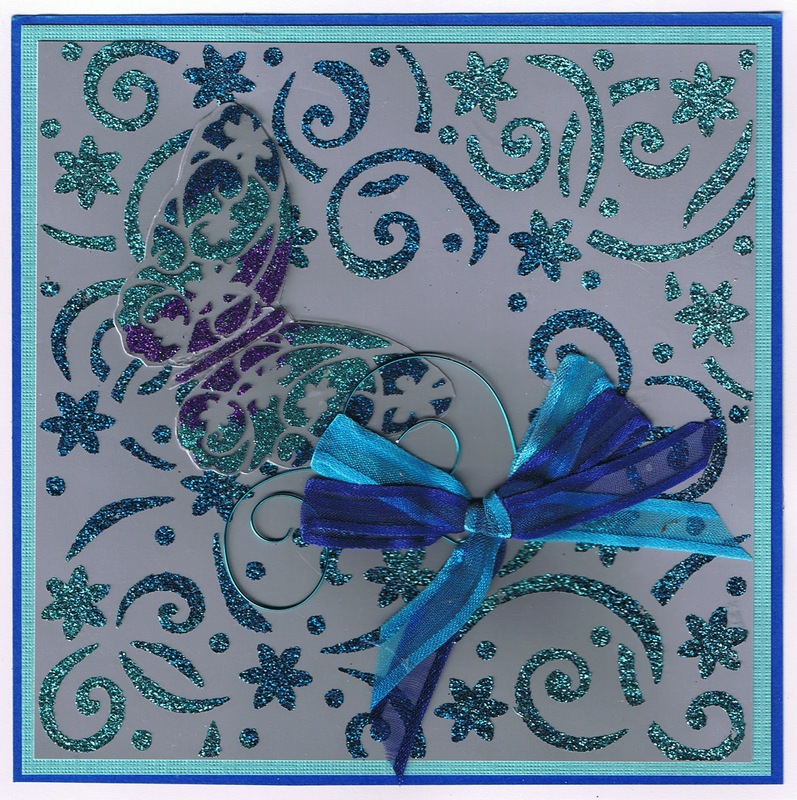 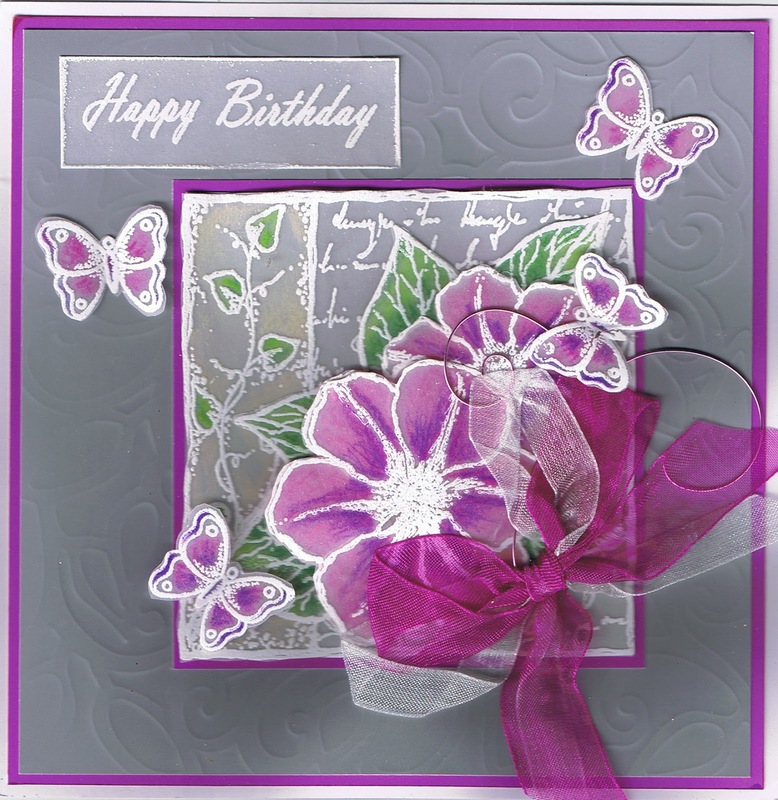 These beautiful colours stepping into spring the soft silver is a must..and they all work so well by using our embossing matt to give you really deep embossed finish, and so versitile can be also used with sparkle medium and Mica powders. 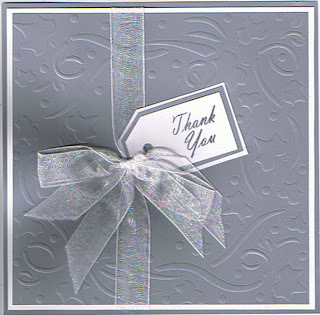 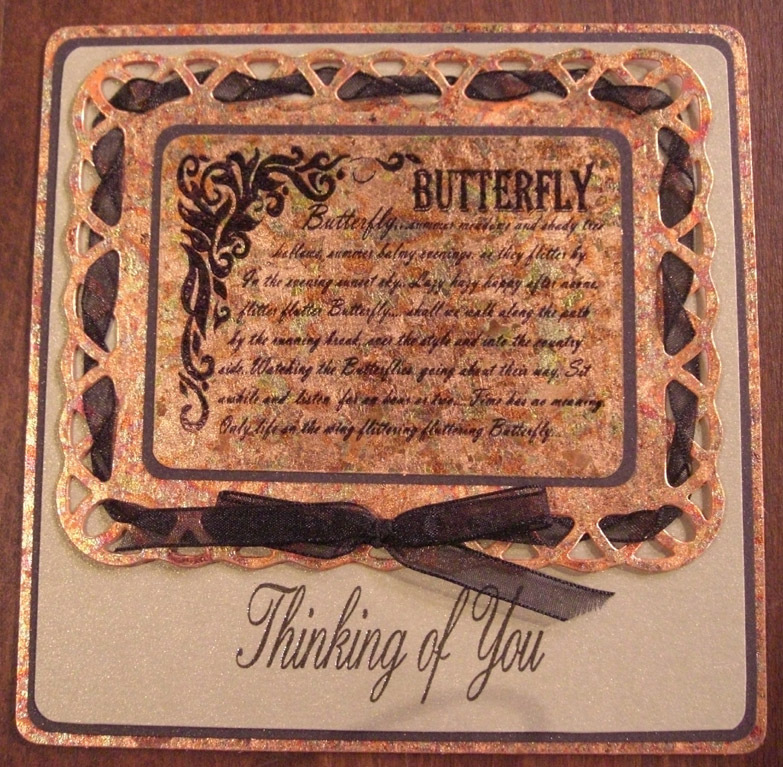 Sorry time is short as we are getting ready for the trade show and shows in the spring, I'm afraid I can't do a detailed description of each and every card,there are so many and would take forever....it's more important that you see the samples ... but if there are any questions or queries send a message and i'll gladly help...if I can ..see you again here tommorrow night﻿ but hop across to my Blog now.... as there is more from the Decoupage range there..
Annette: Gilding set Butterfly and Gilding flakes Red Guilt on acetate. 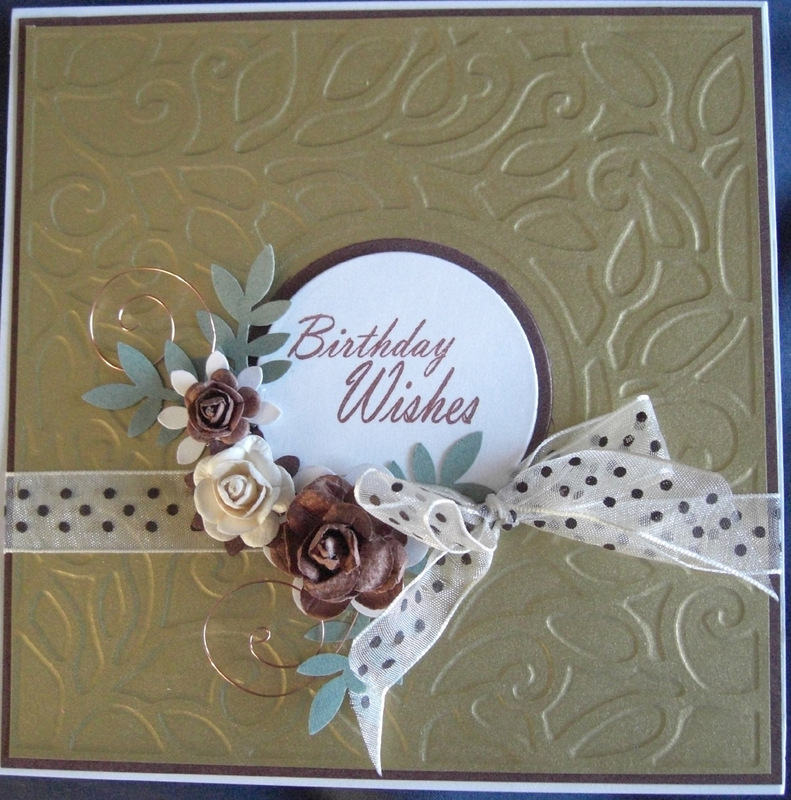 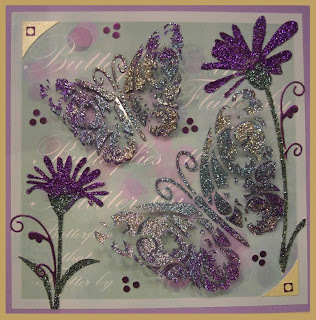 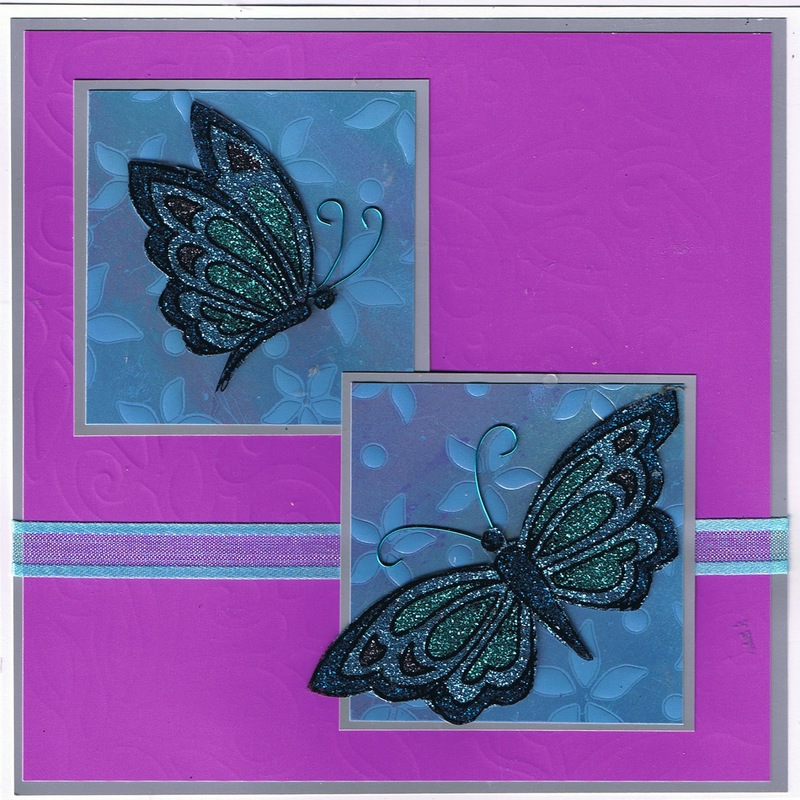 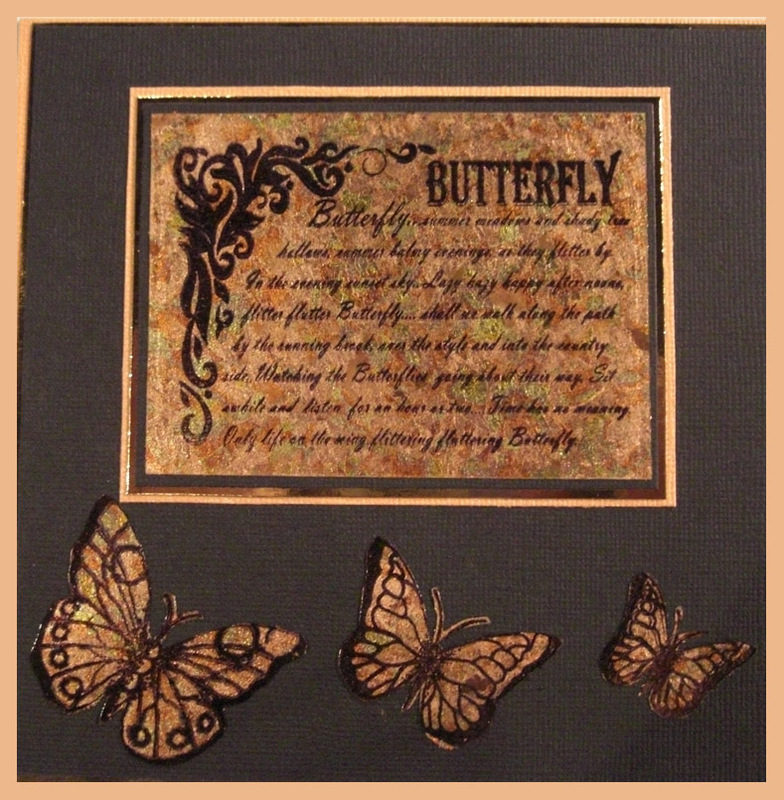 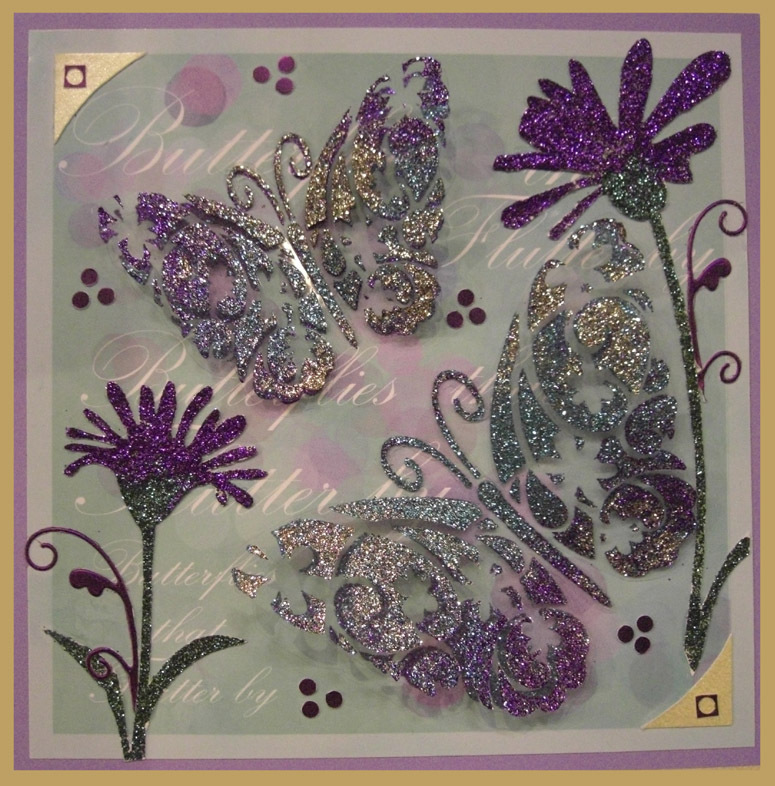 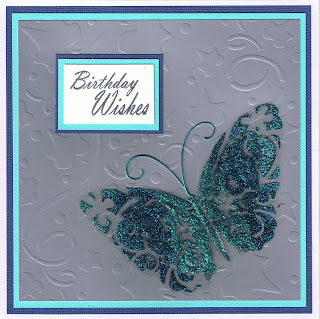 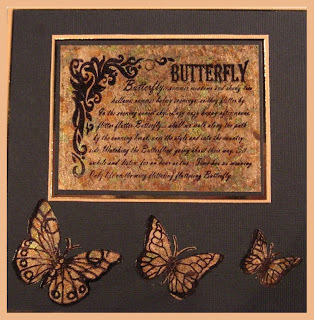 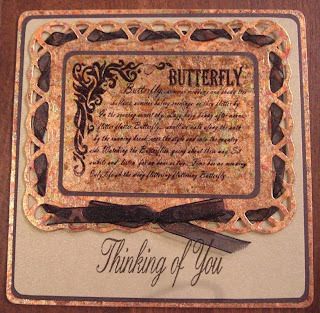 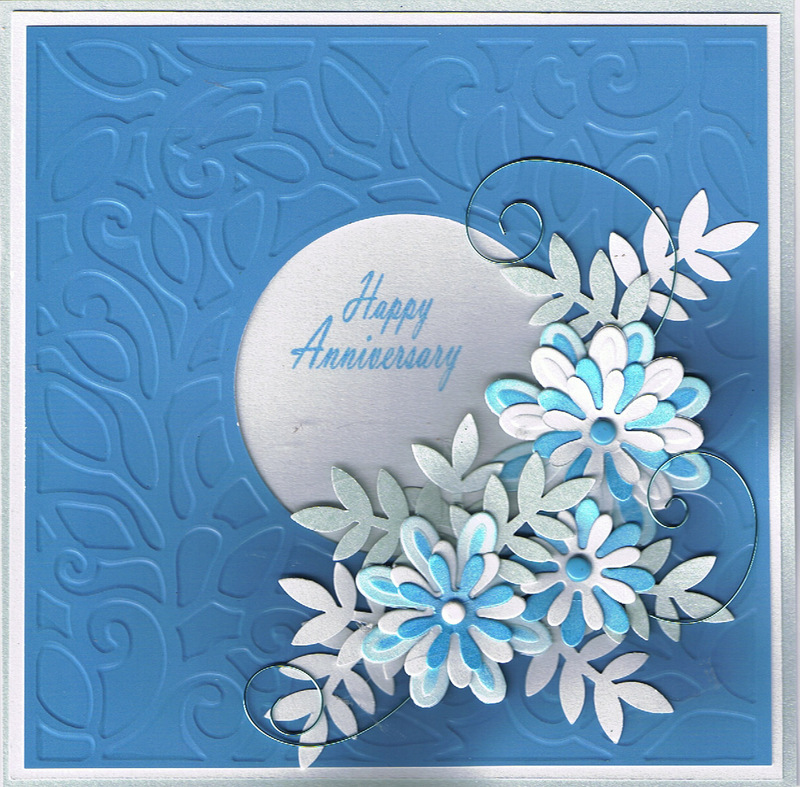 Annette: Butterfly Gilding Stamp set with Red Guilt Gilding flakes on a die cut frame. 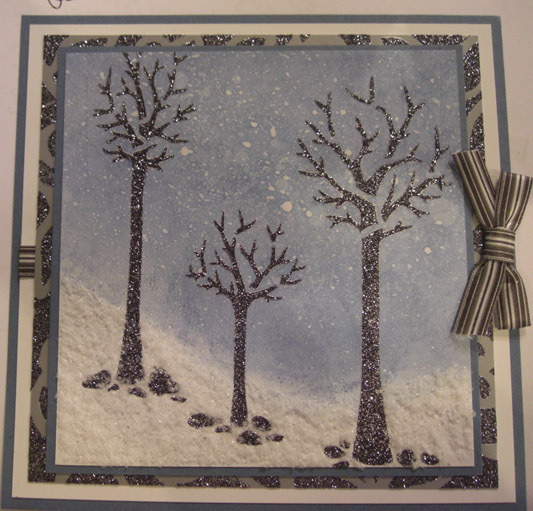 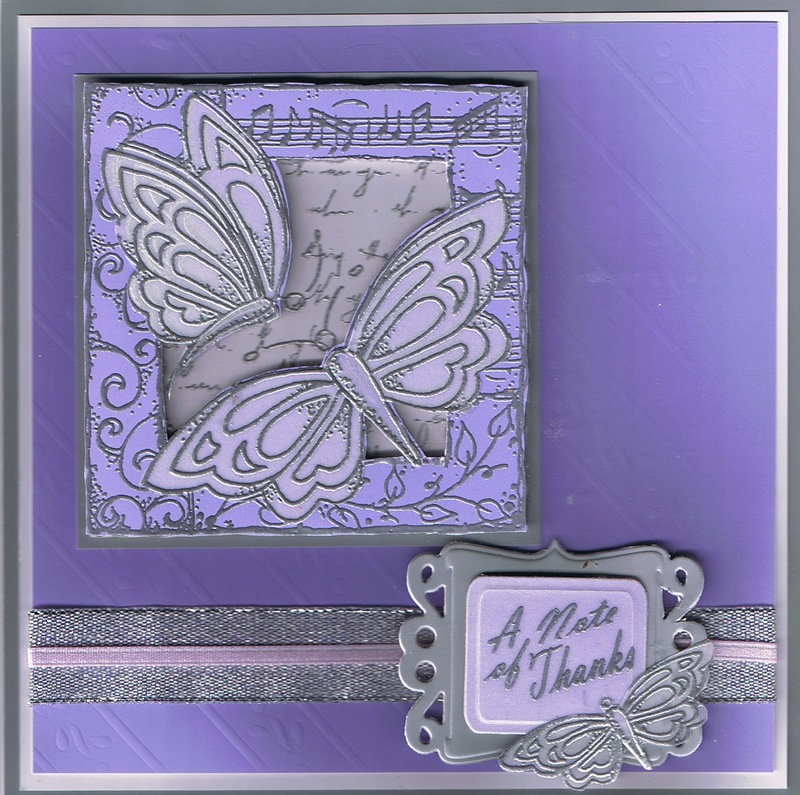 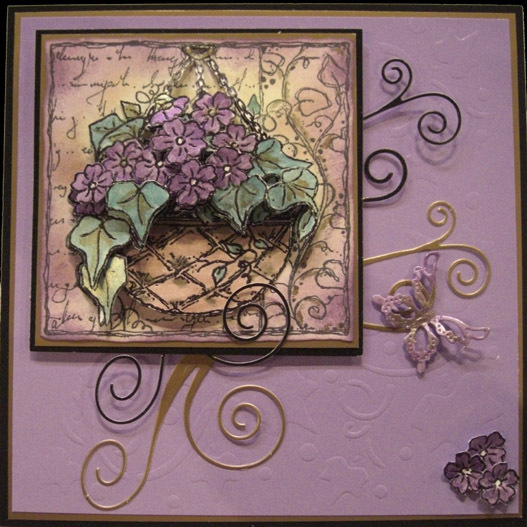 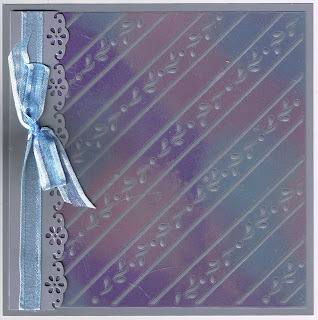 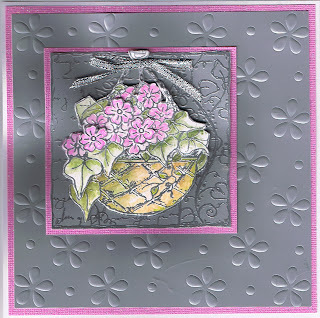 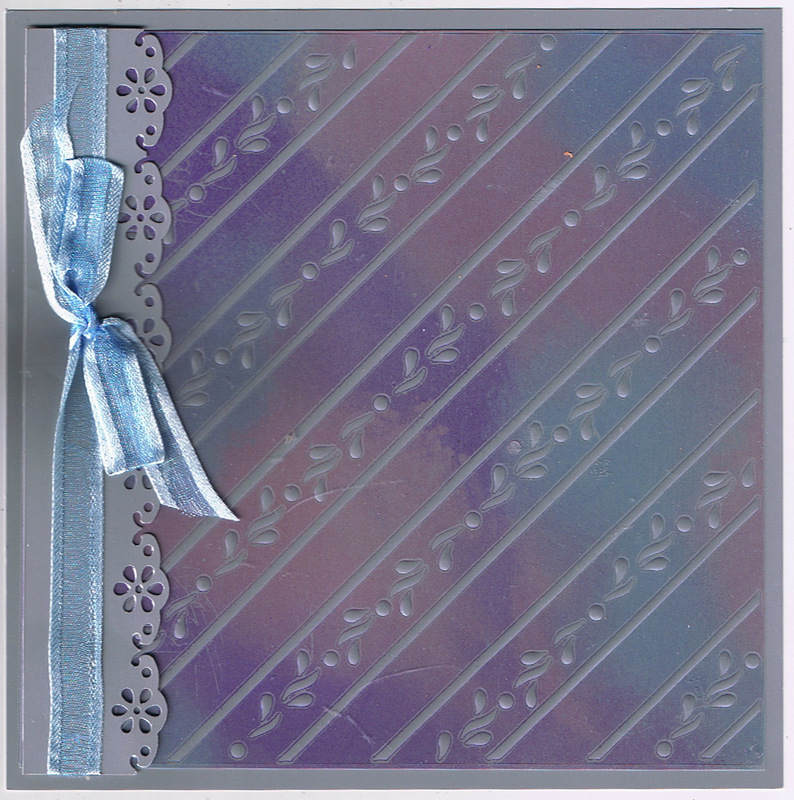 Jennifer: Hanging Basket Decoupage coloured with Mica powders Brilliants set, Ivy curls embossed on lilac glossy card. 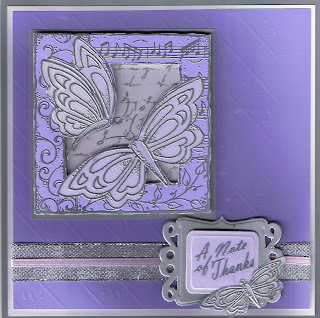 Over the next couple of days over the two blogs, I will be posting some other samples we hope you will like to see again .